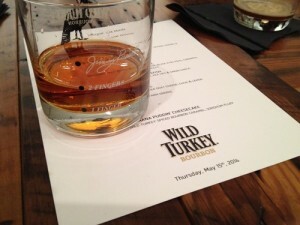 Jimmy’s son, Eddie Russell, associate distiller at Wild Turkey, introduced himself as “the new guy,” seeing as he’s been there only 33 years. 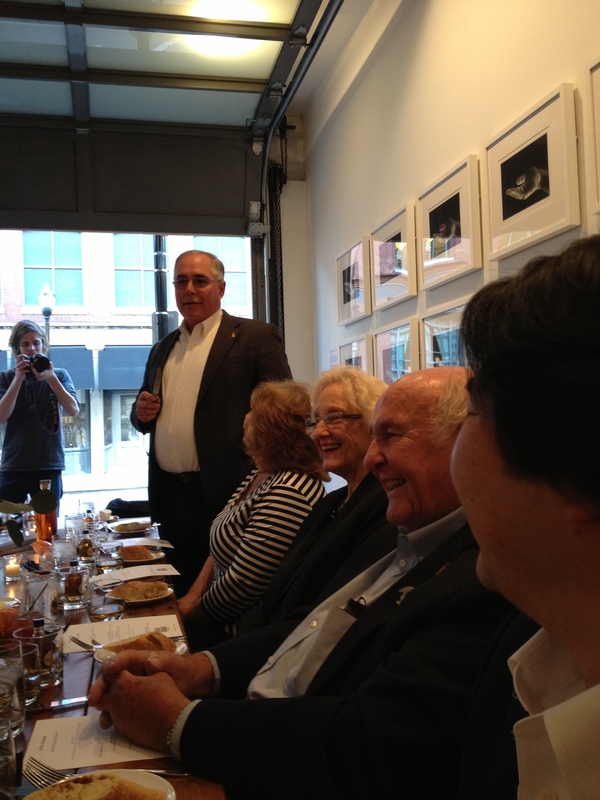 He led a toast to his father (above with wife Joretta, who was introduced as “The First Lady of Bourbon”) as guests raised glasses filled with the Diamond Anniversary Bourbon that Eddie selected from barrels of Wild Turkey 13 and 16 years old. The meal, which included Bibb salad, Kentucky cassoulet, whitefish, greens and Weisenberger grits with Capriole goat cheese, was prepared by Proof on Main Chef Levon Wallace, who is having Jimmy autograph the menu, below. That’s pretty up close and personal, right? 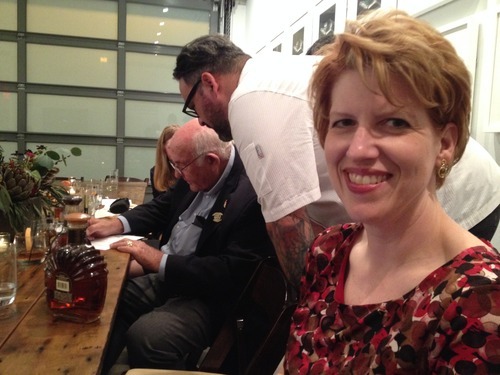 You can still mingle with Jimmy Russell and other bourbon industry titans at Saturday night’s Golden Affair at the Pendennis Club, where the KDA will also premiere “Kentucky Bourbon Tales,” a documentary that tells the timeless stories of the state’s most cherished distillers and distilleries. I did the interviews for Four Roses and can’t wait to see the finished product. Not to mention Jimmy Russell in black tie.